Drew Reynolds Wild Beasts at The Cutting Room Studios in Lower Manhattan. Drew Reynolds Wild Beasts at Baby's All Right in Brooklyn. 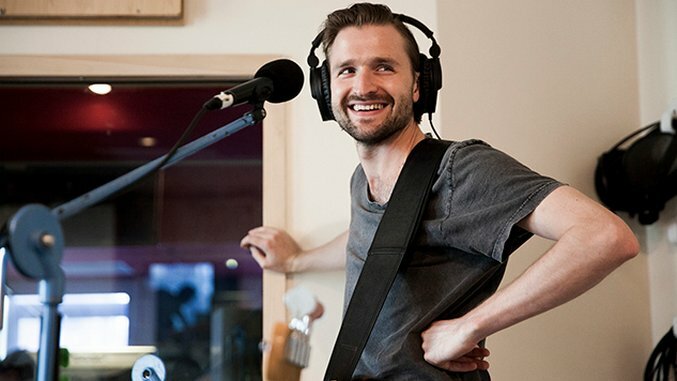 Last month, English synth quartet Wild Beasts celebrated the debut of their new LP Boy King, a slinky, insidious evolution of the group’s sound rooted in vocalist Hayden Thorpe’s seductive falsetto. Paste photographer Drew Reynolds captured the group’s release, shooting the band at The Cutting Room Studios in Lower Manhattan for an on-air performance and interview for Seattle station KEXP-FM. Drew followed up at the group’s sold-out show at Brooklyn venue Baby’s All Right, where they played tracks from all five of their LPs, including an epic mashup of “The Devil’s Crayon” and “Palace” bathed in light streams of neon magenta.